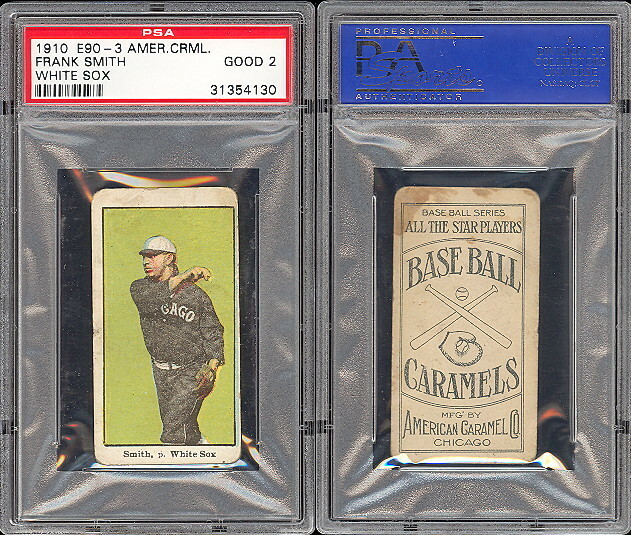 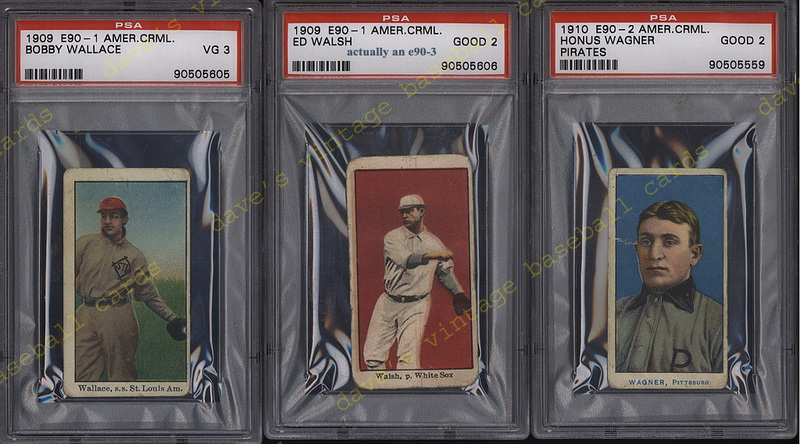 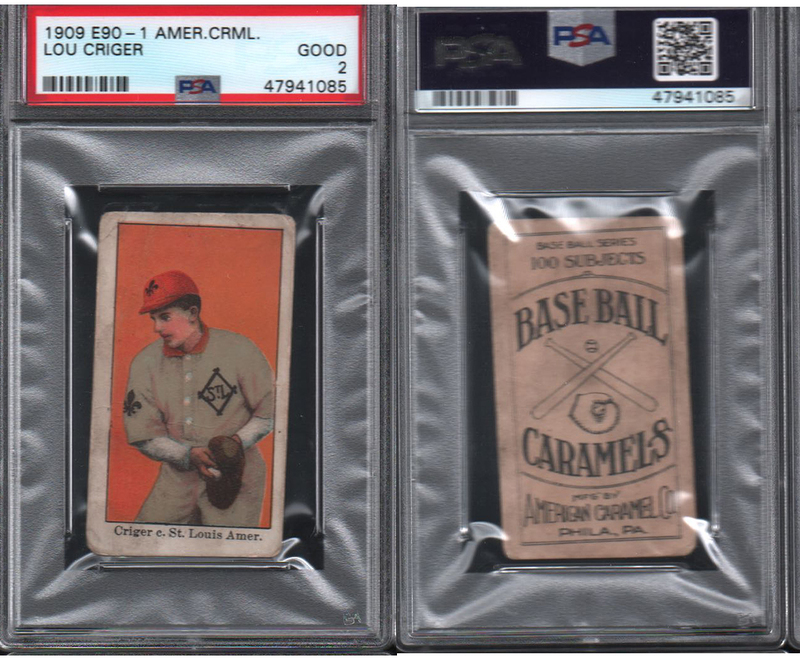 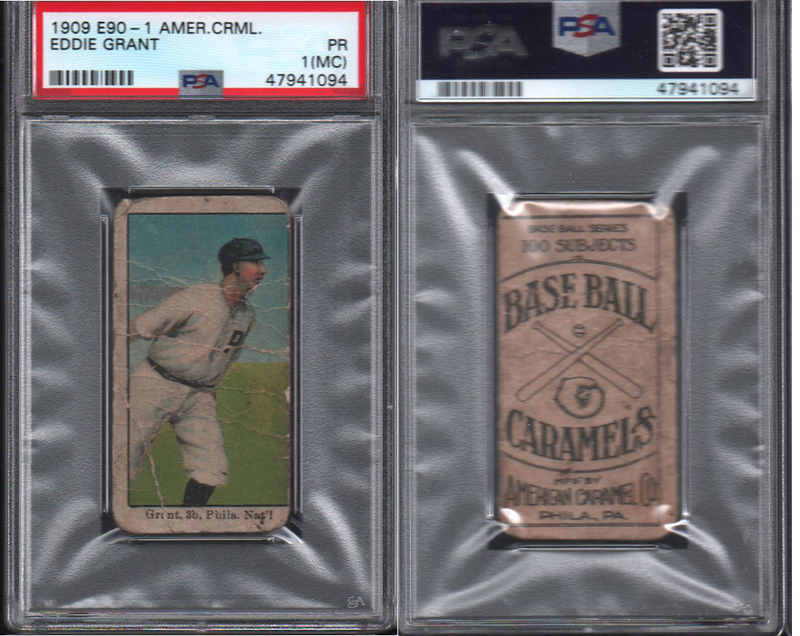 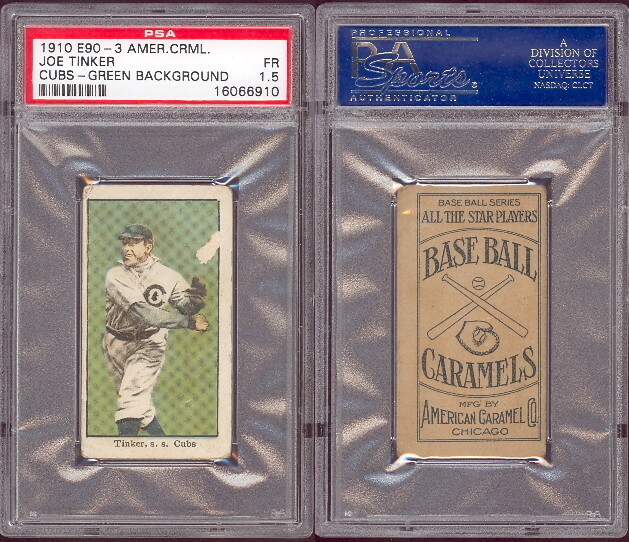 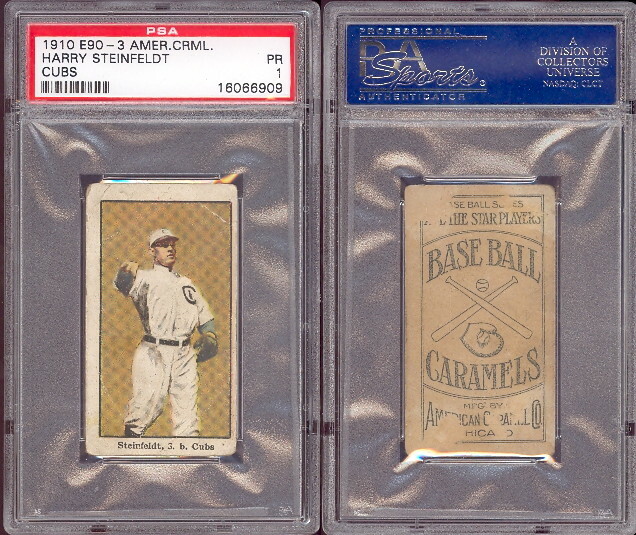 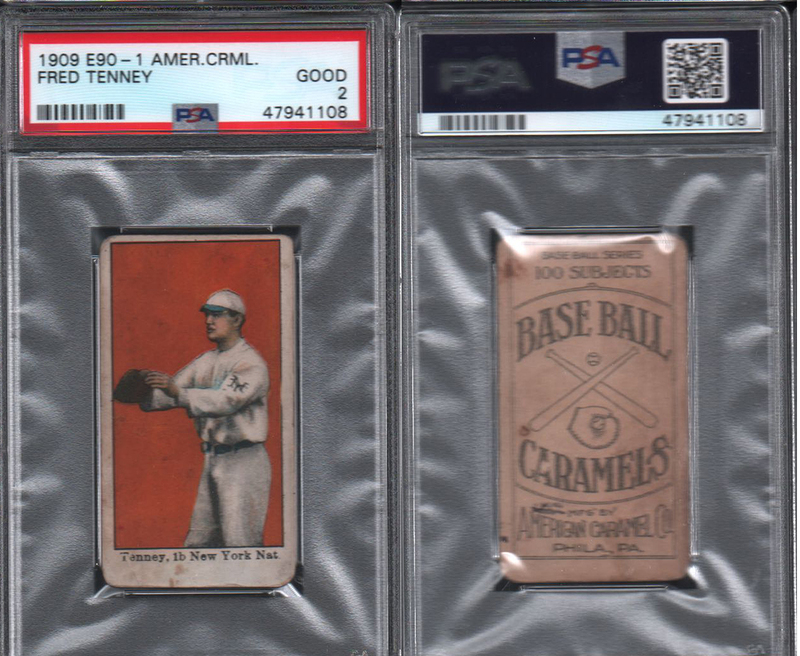 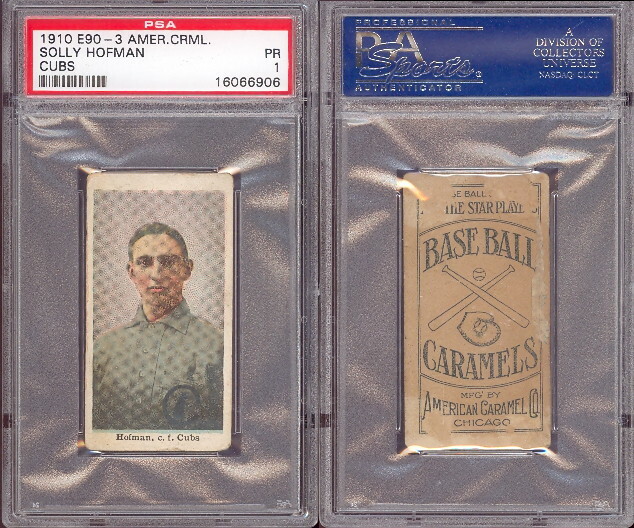 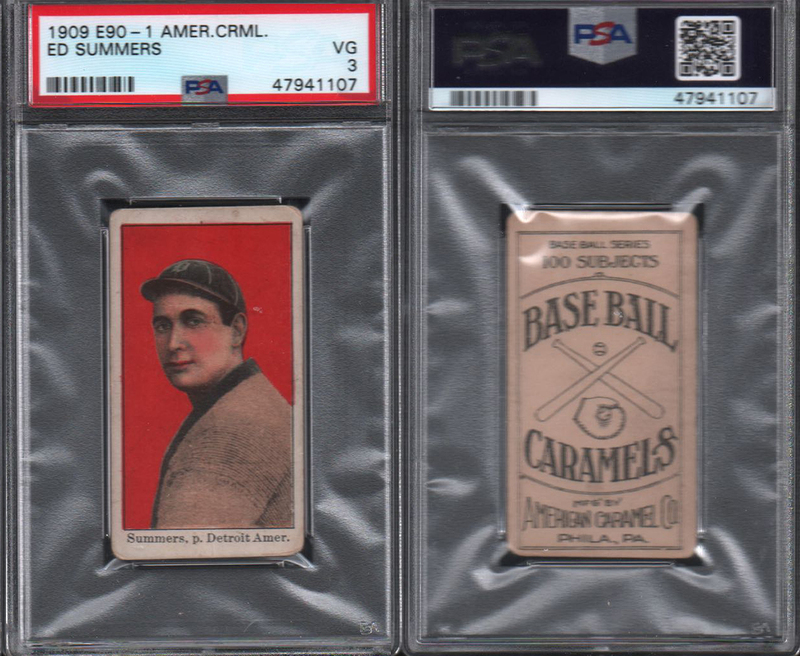 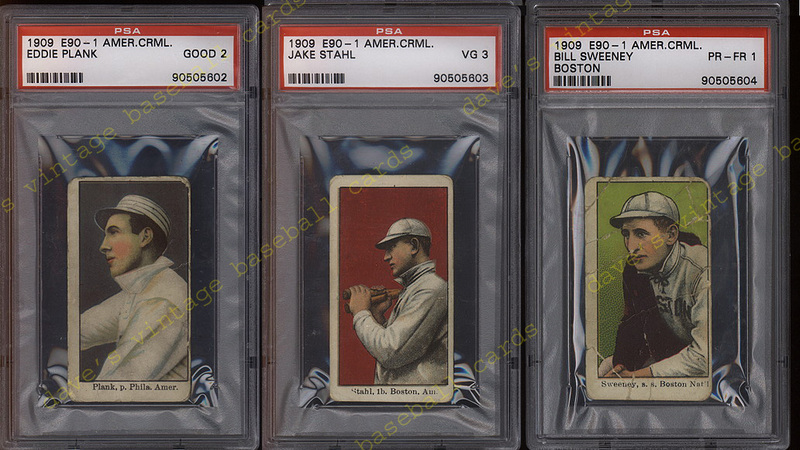 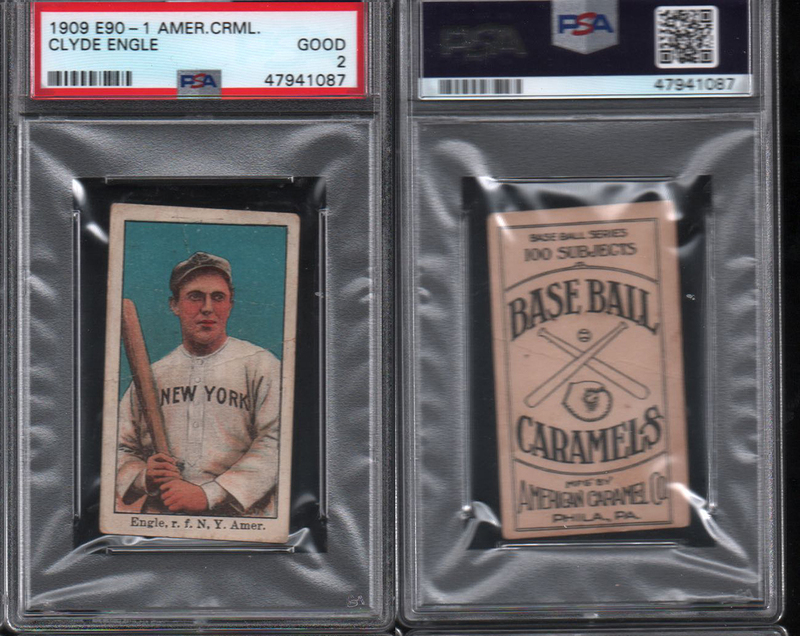 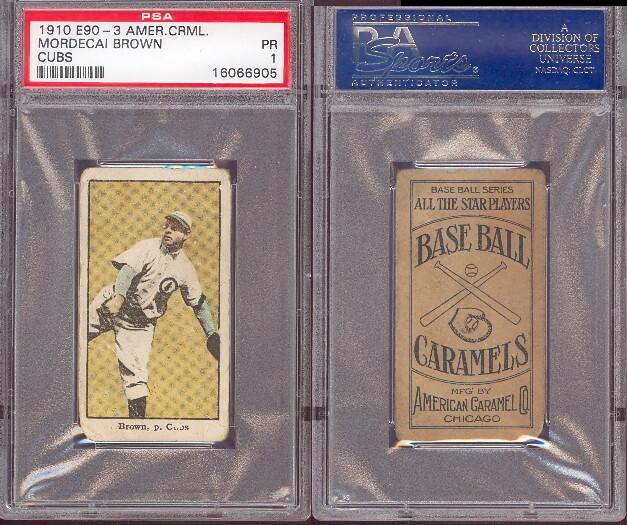 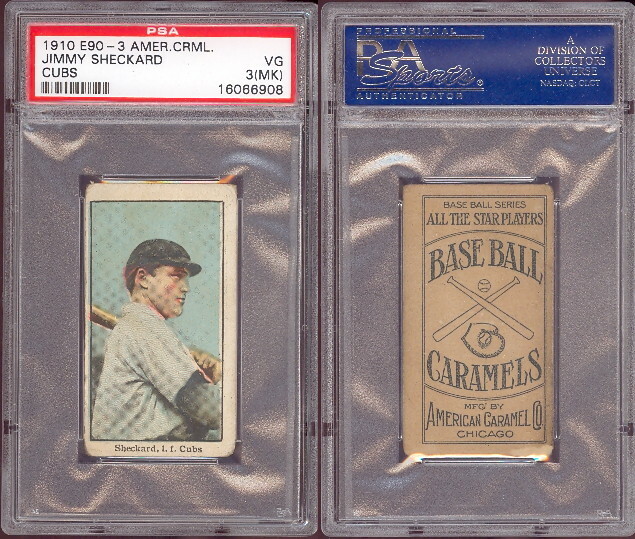 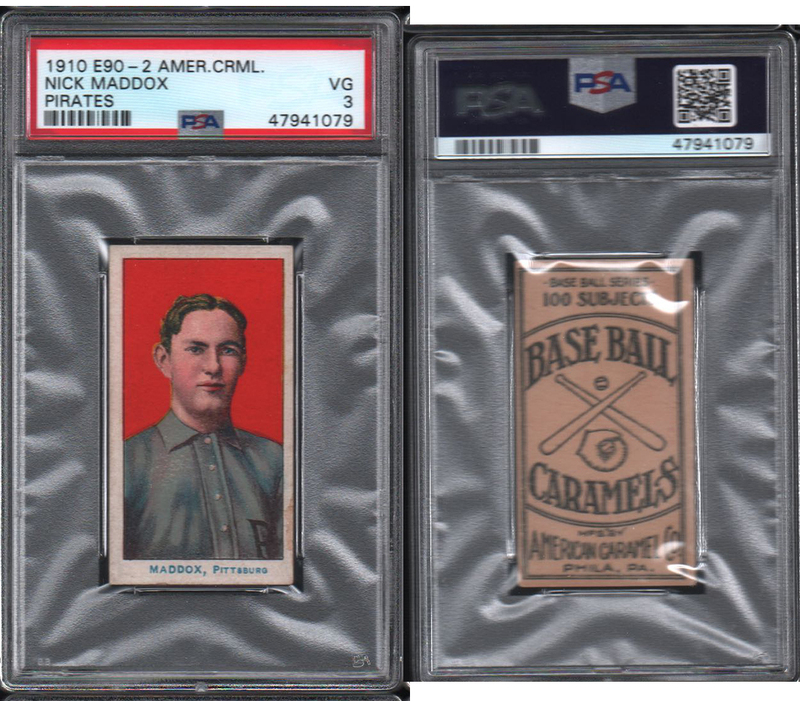 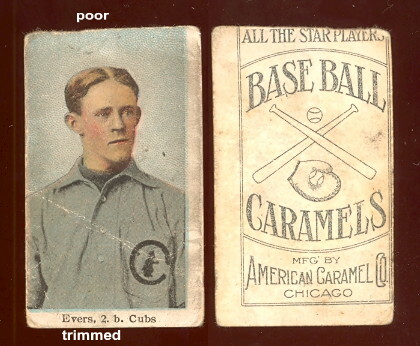 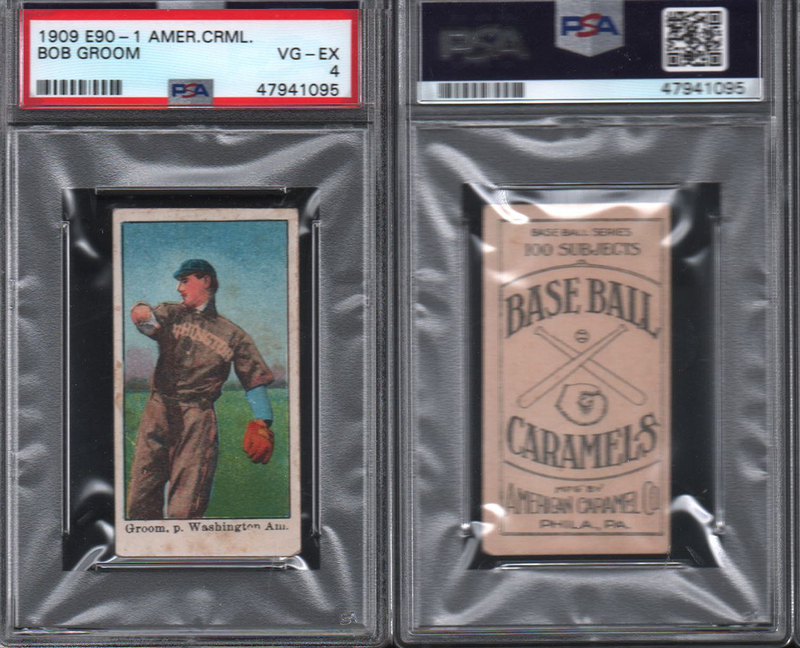 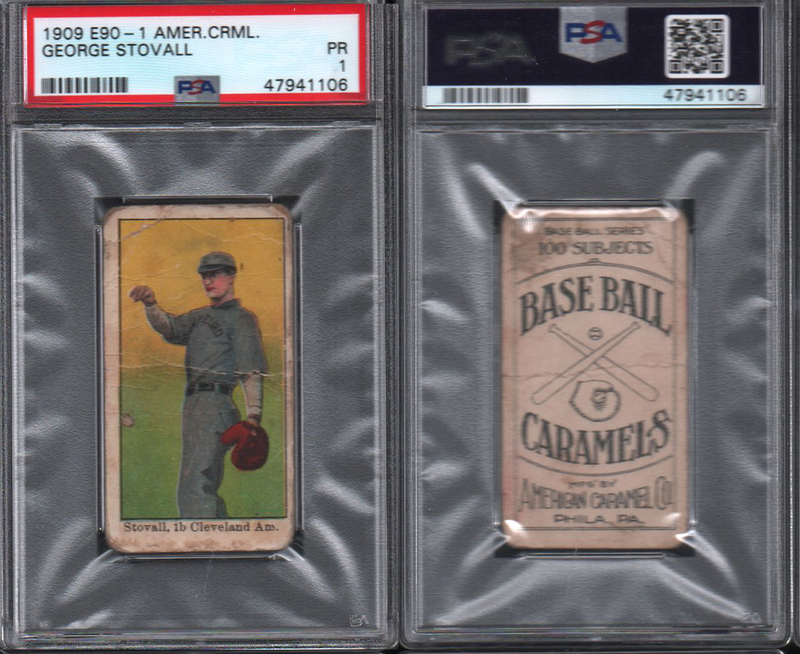 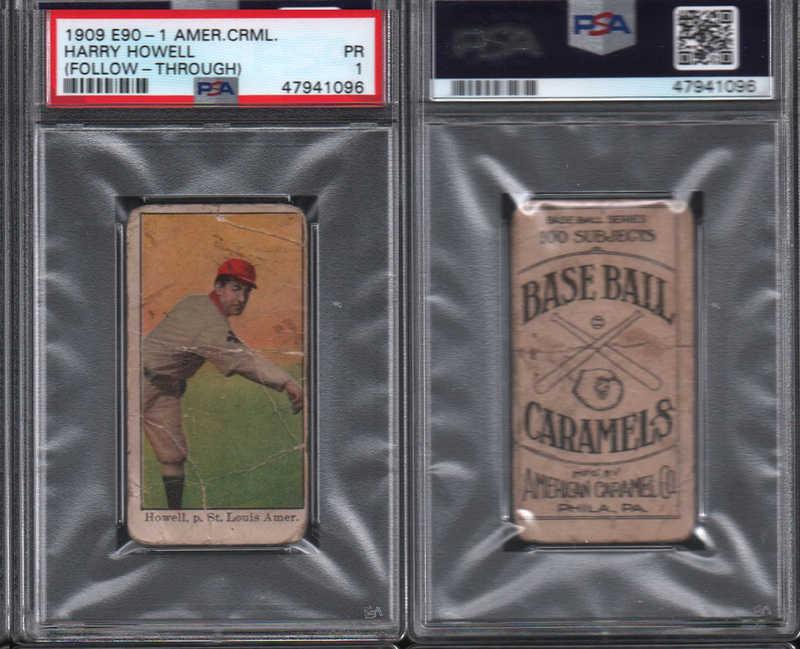 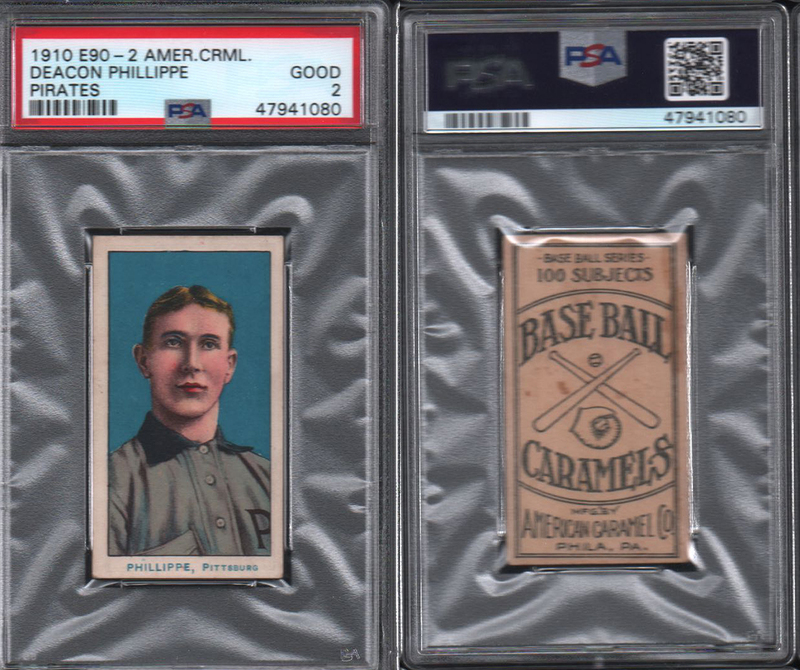 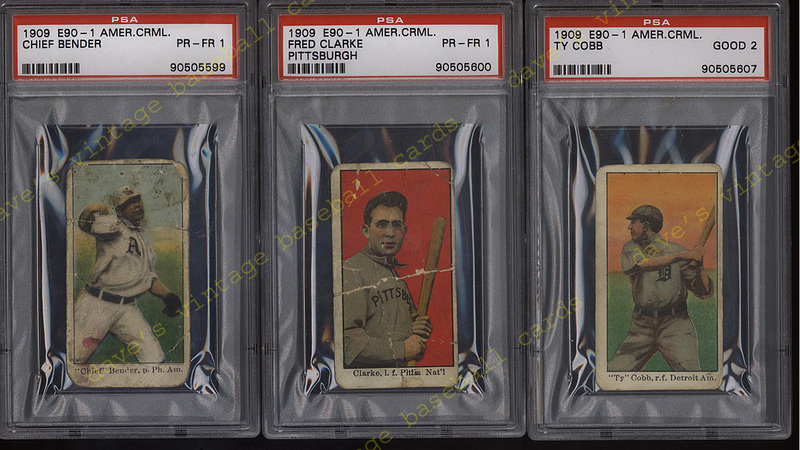 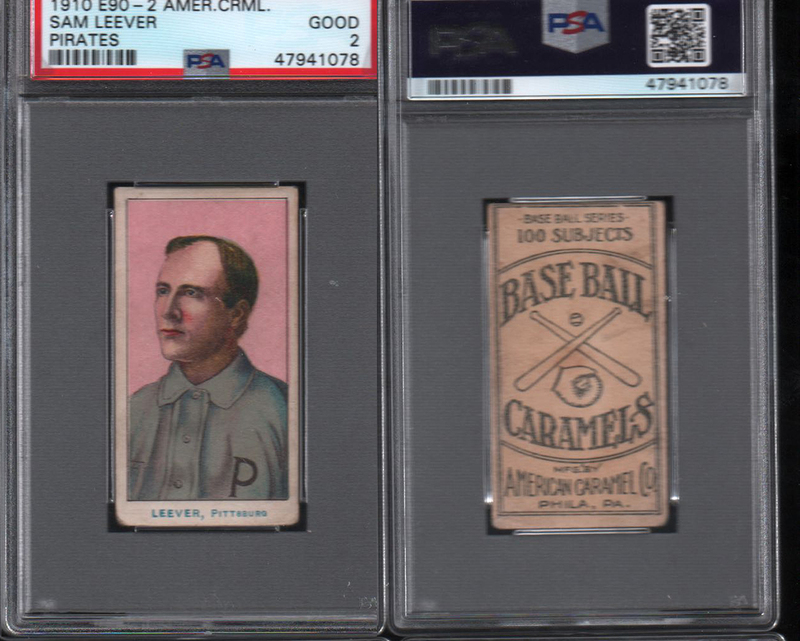 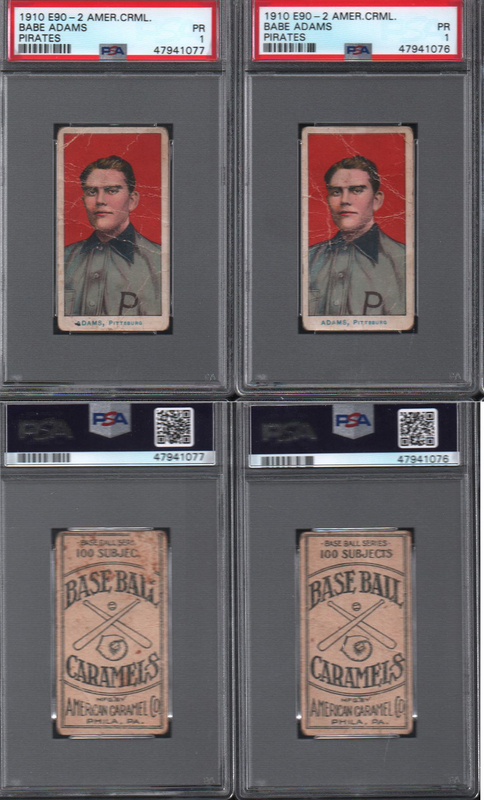 DAVE'S VINTAGE BASEBALL CARDS PRESENTS 1910 E90-1 American Caramel Baseball Cards. 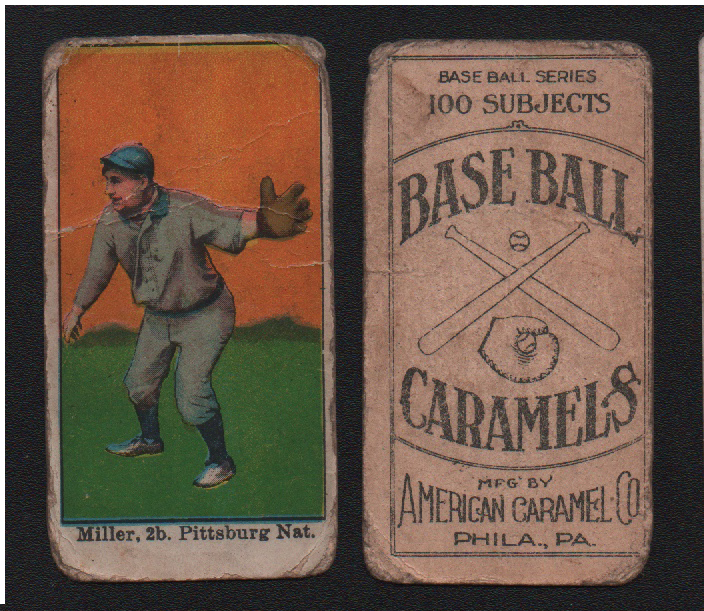 Issued by The American Caramel Co. of Philadelphia, PA. Is closely related to several other candy sets from this period which share the same format and in many cases, the same players poses. 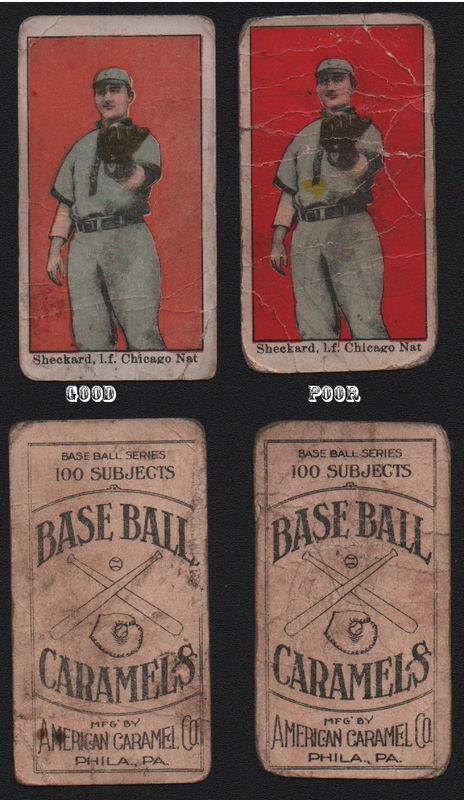 The cards measure 1-1/2" X 2-3/4" and utilize color reproductions of actual photographs on the fronts. 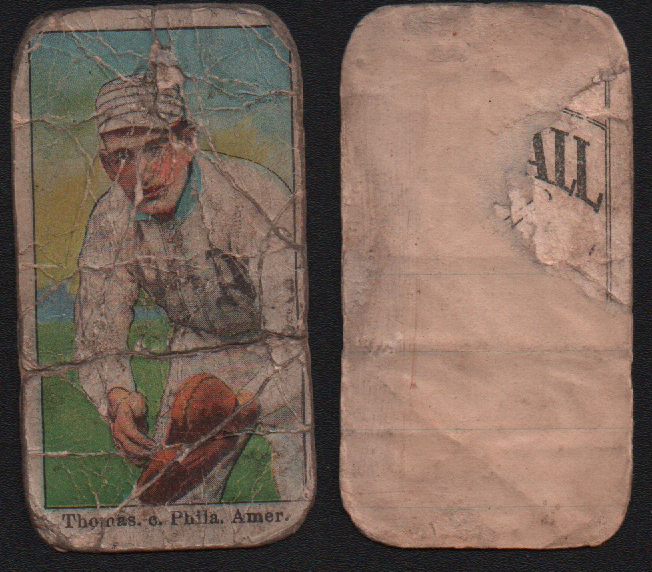 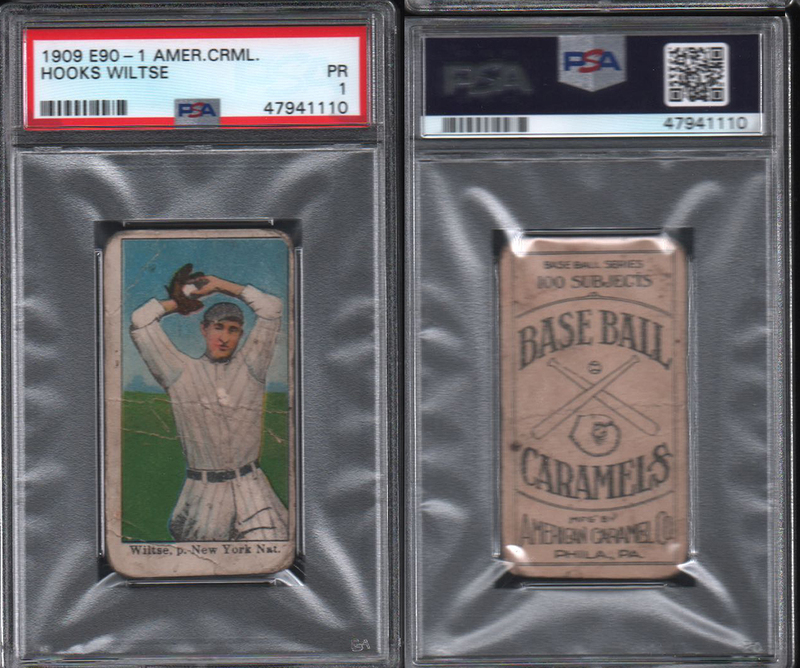 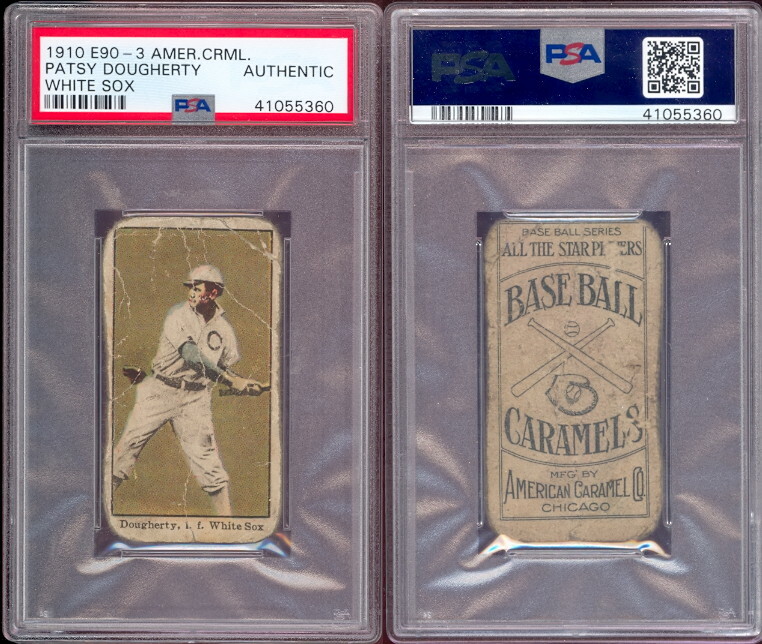 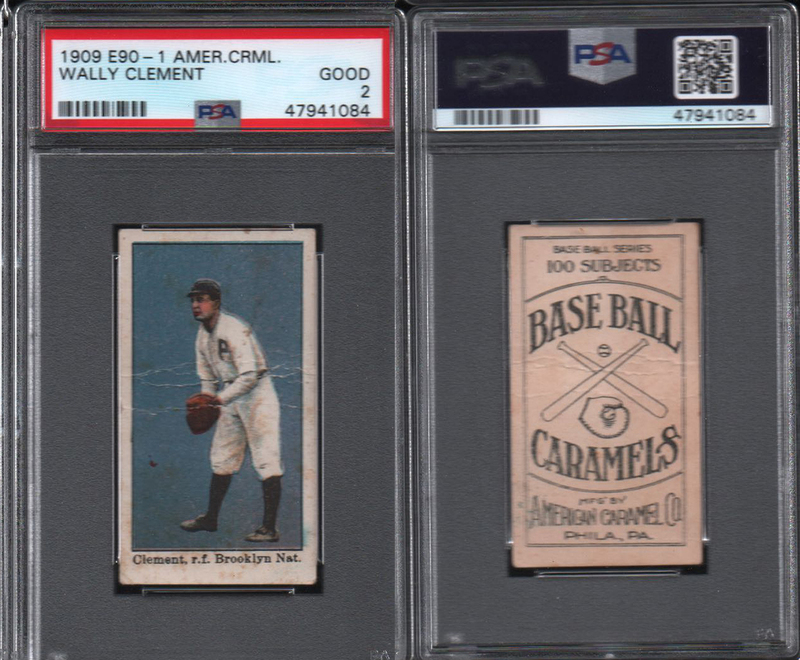 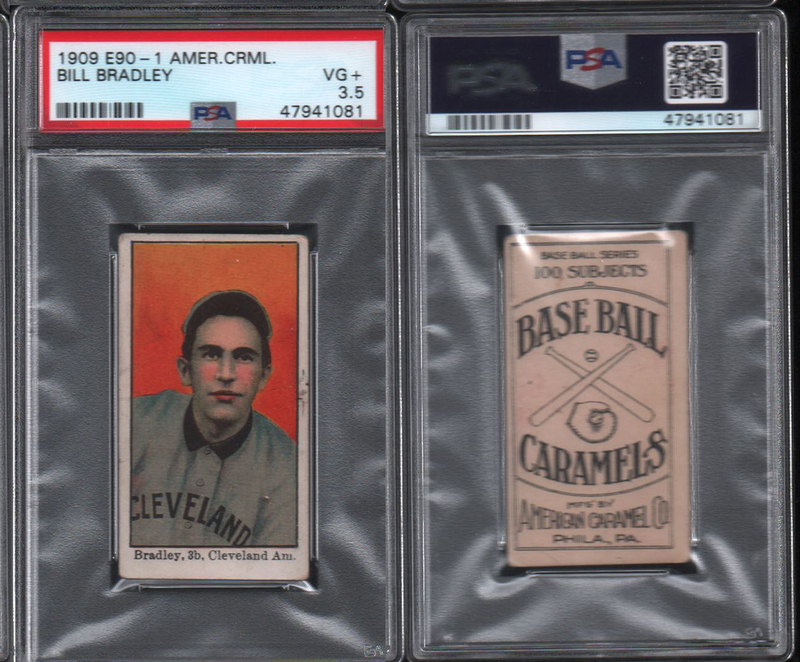 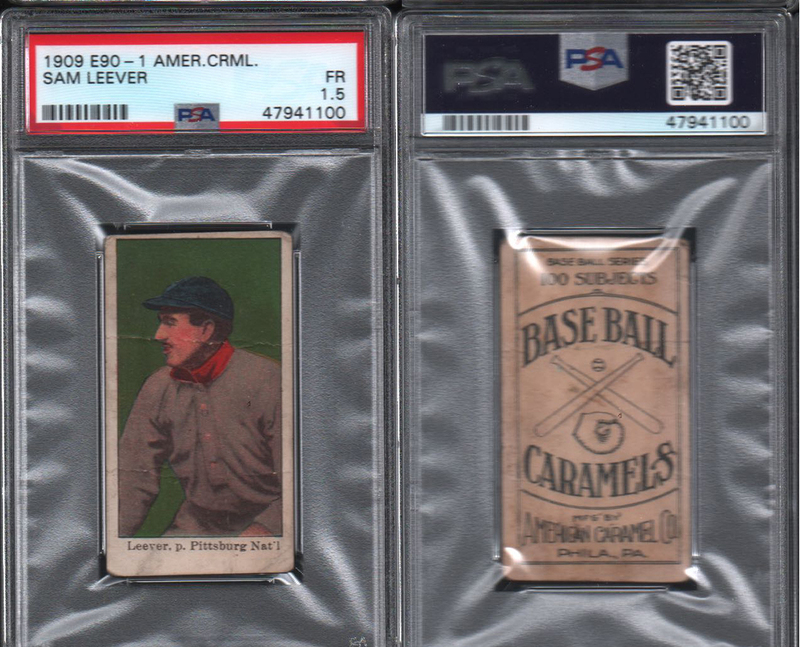 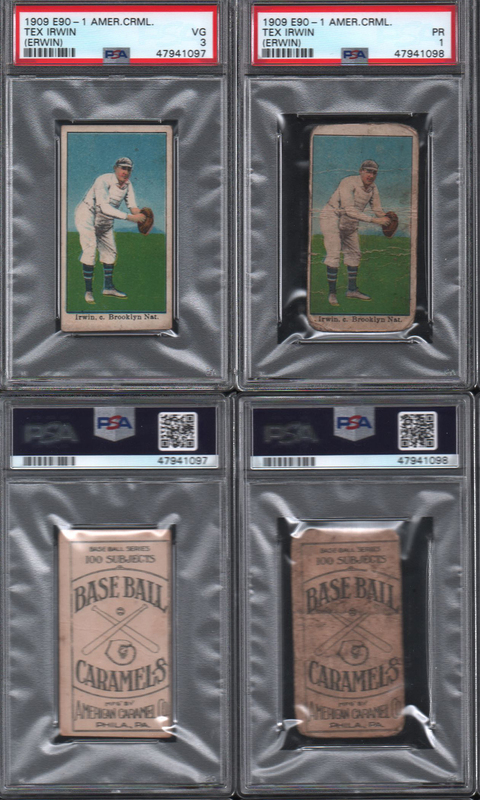 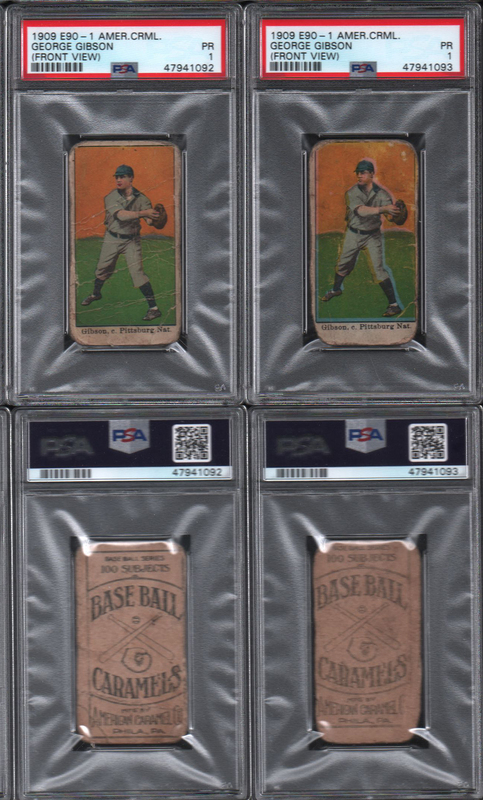 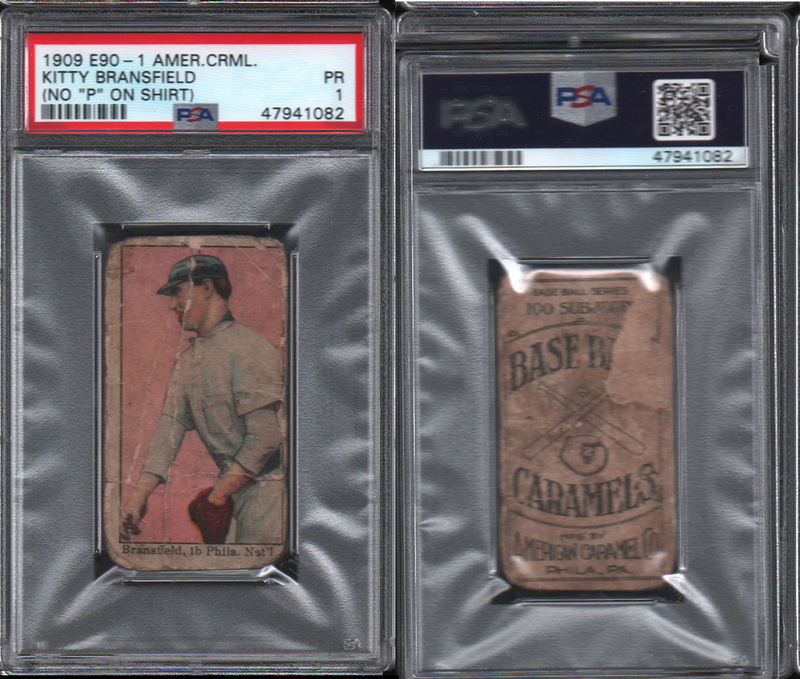 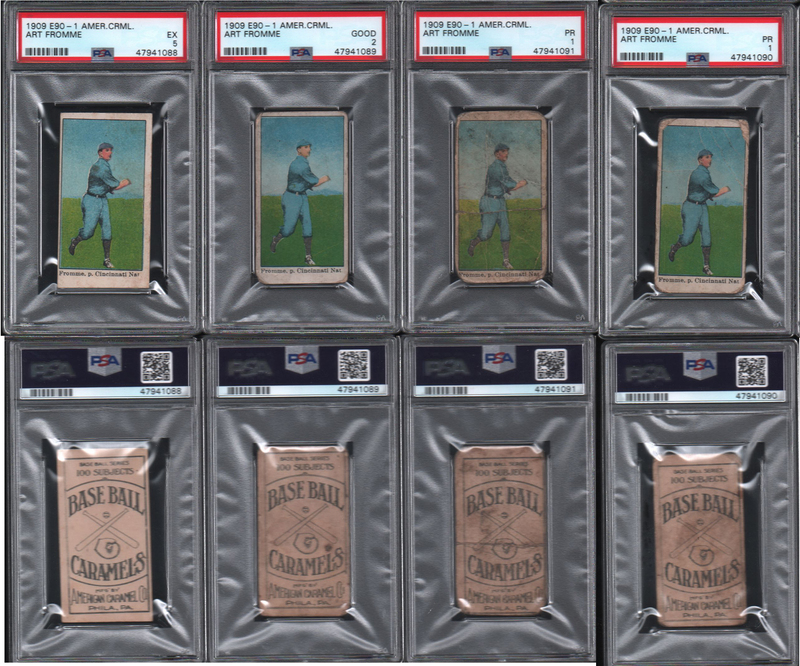 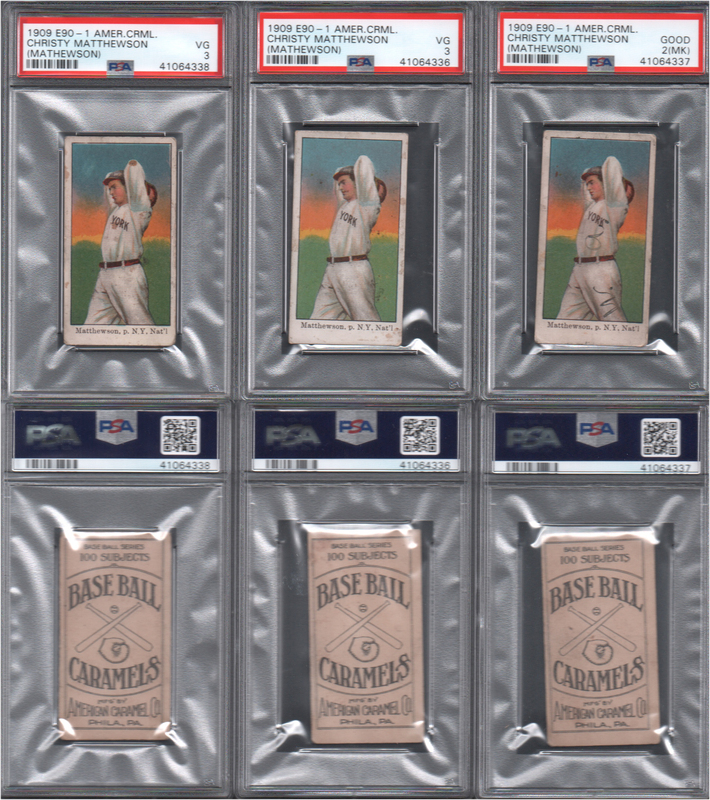 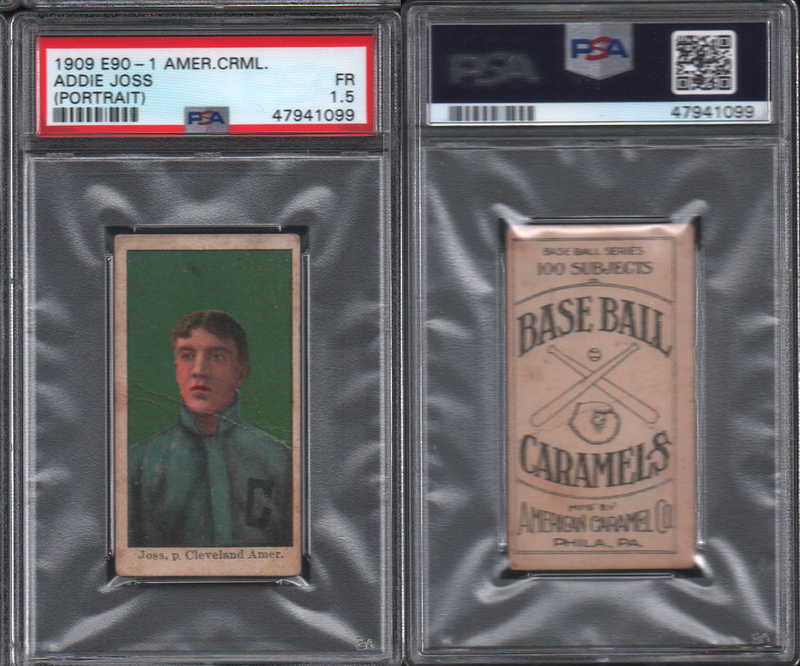 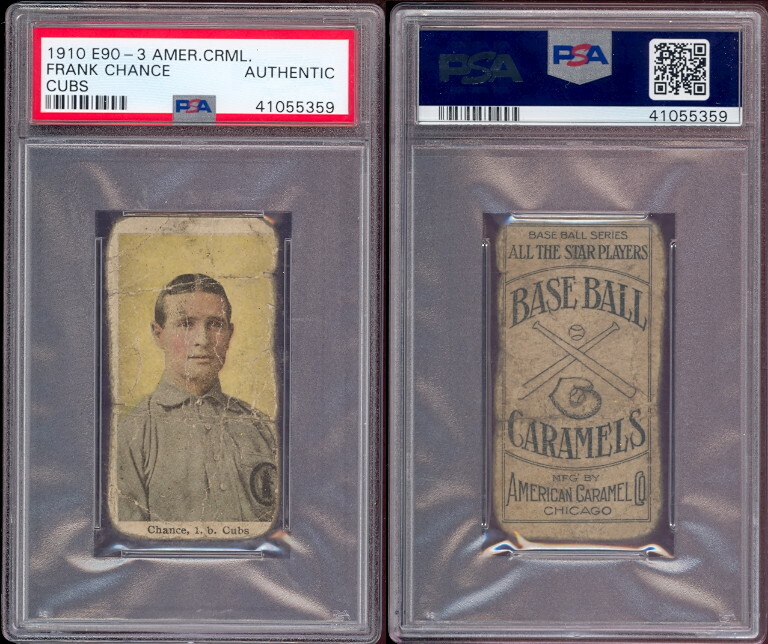 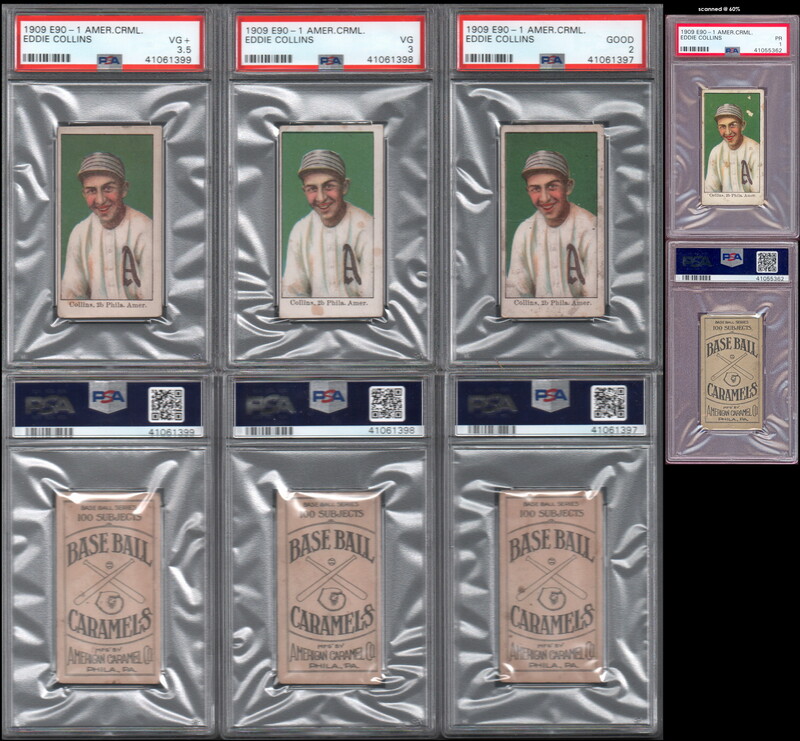 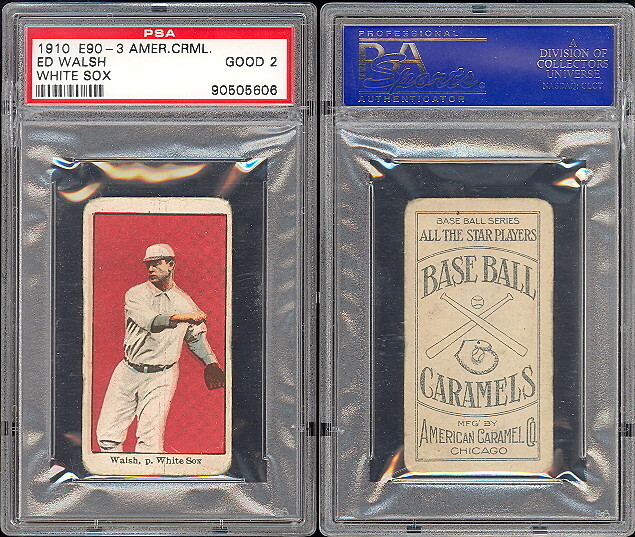 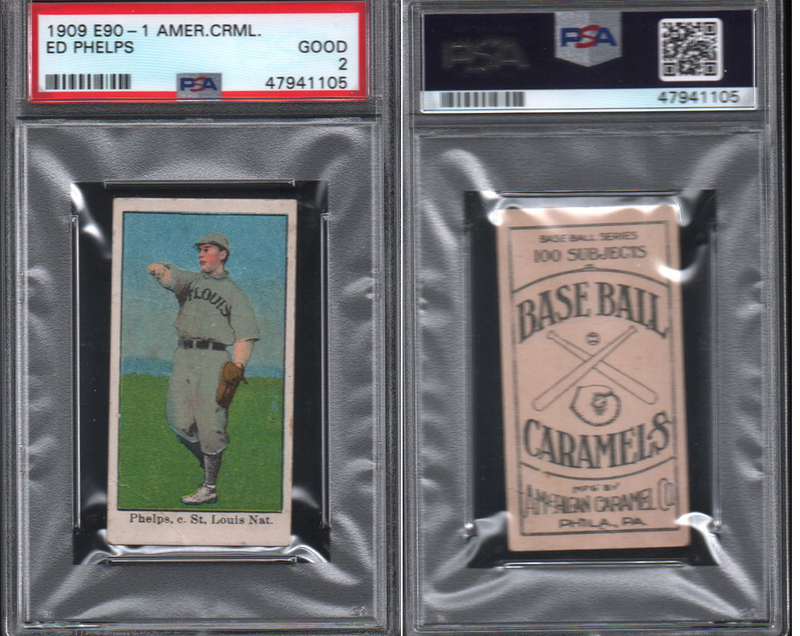 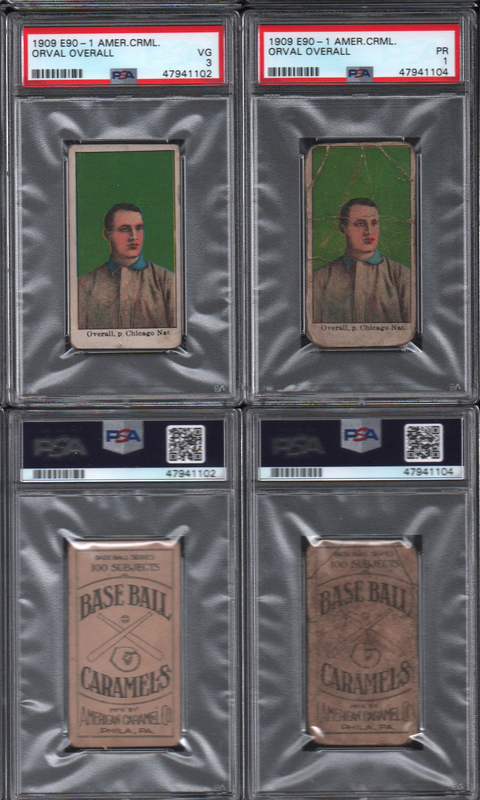 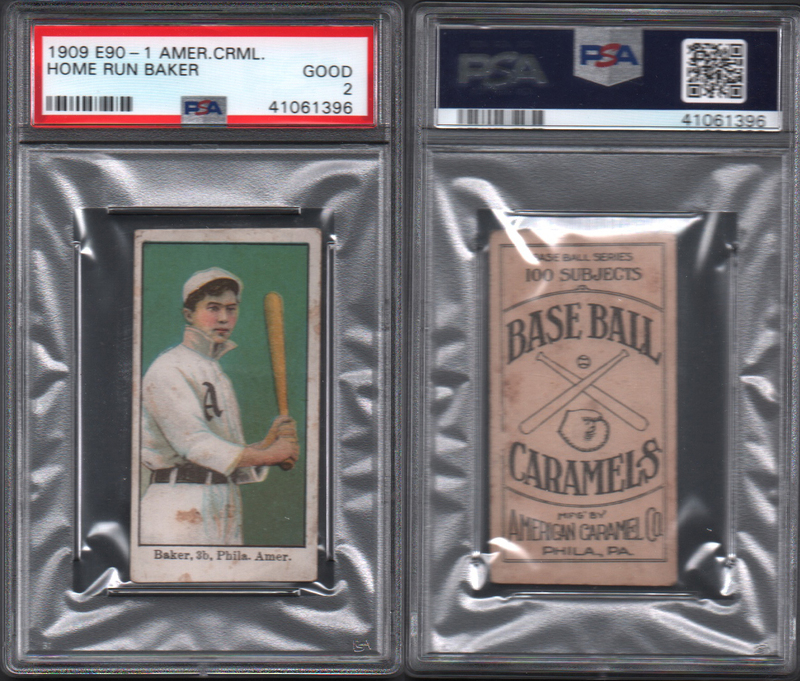 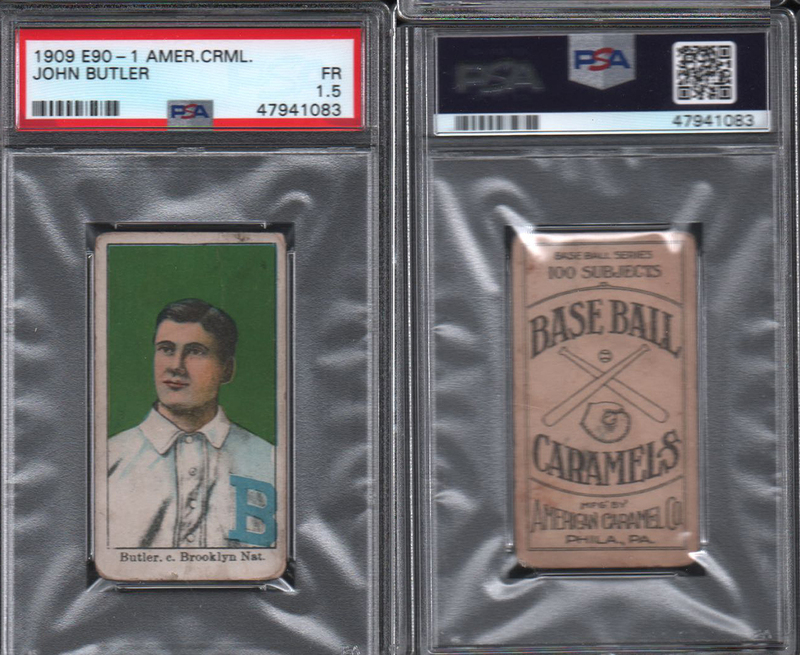 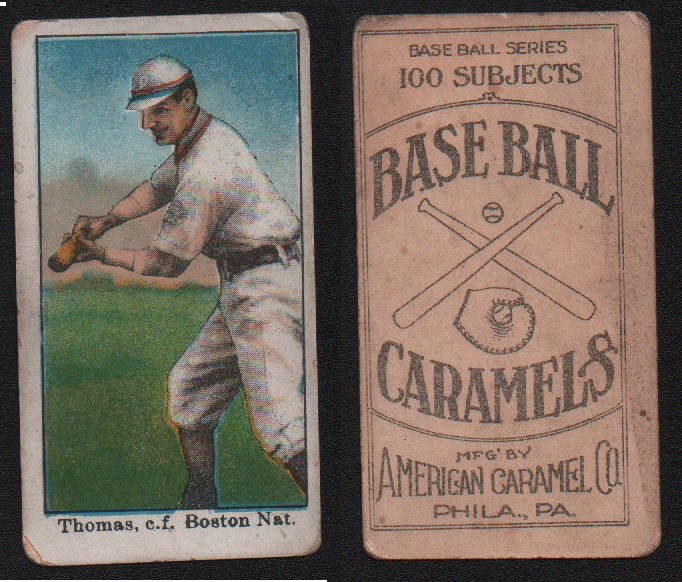 The backs show Base Ball Series 100 subjects (although 120 are known) along with Base Ball Caramels. 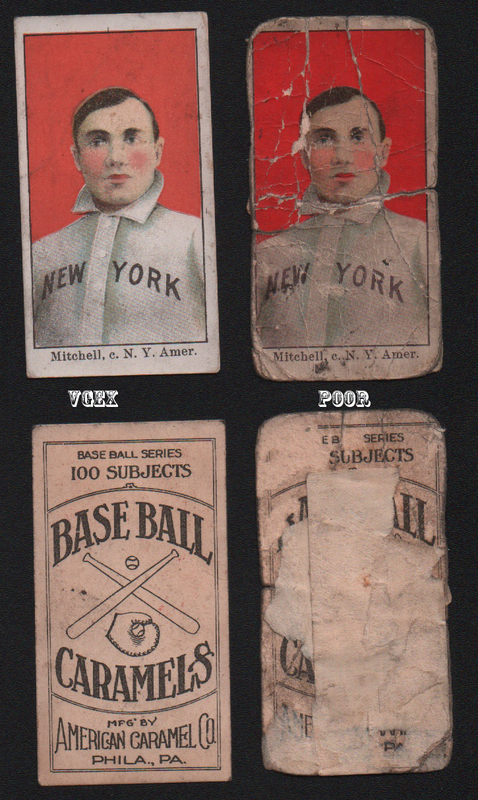 At the bottom is Mfg. 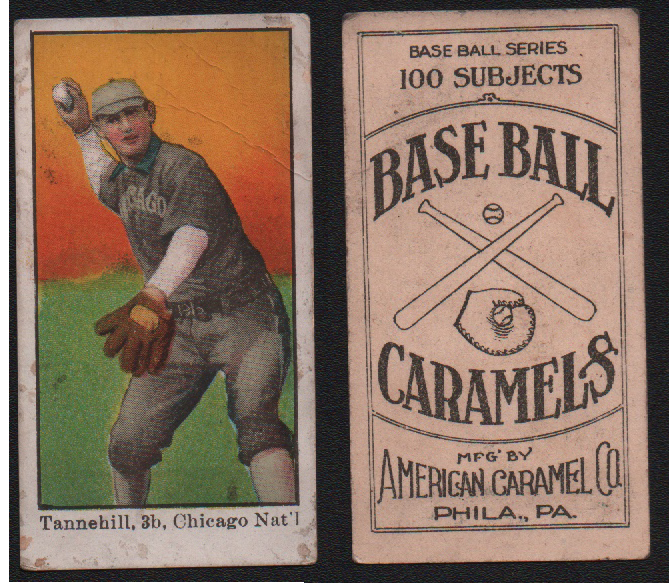 by American Caramel Co., Phila., PA. 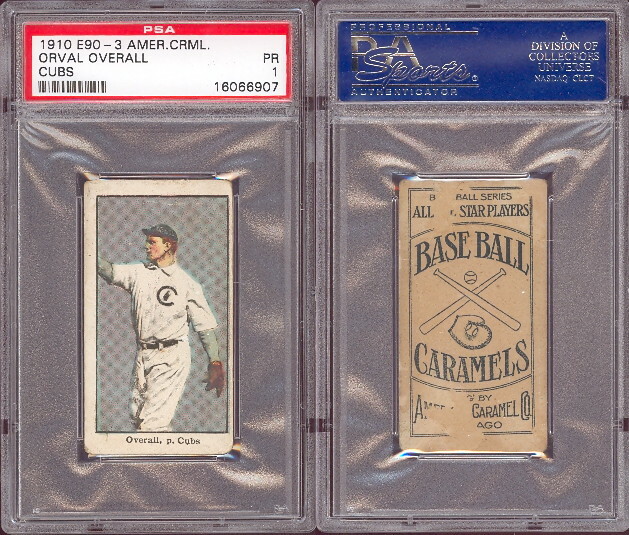 Check out more E90-3 Cubs and White Sox! 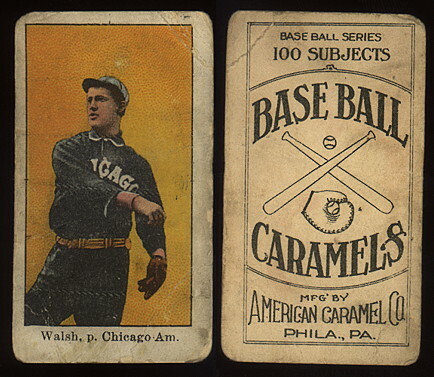 Walsh is a E90-3 and has been reholdered. 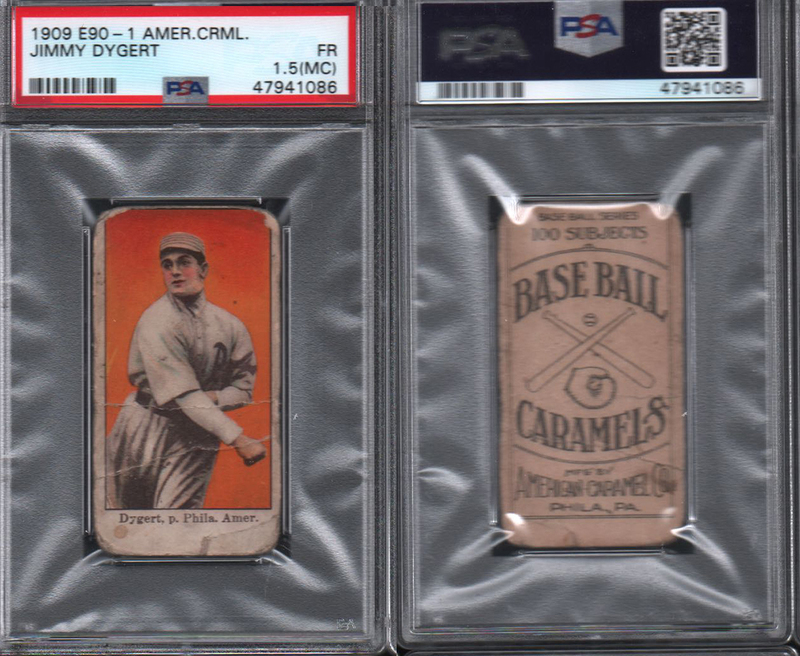 Go to Wagner page for images.